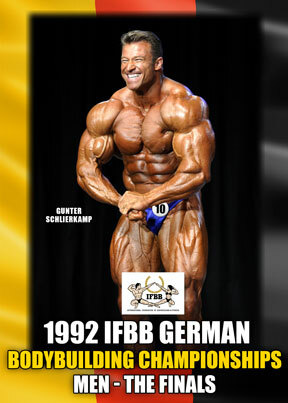 Men’s Finals from this classic German contest. The overall title was won by Ingo Fischer. Guest posers include Thomas Scheu and Bertil Fox. Sadly, we only have the first placed men in the results – if you have any further information please email tina@gmv.com.au, so we can update this product page.